Our ocean is essential to life on Earth. Together with our coasts, it plays a critical role in maintaining a strong economy and high quality of life for all Americans. It provides much of the oxygen we breathe, the food we eat, and economically, the ocean is a major force in the U.S., including many recreation and tourism opportunities, sources of energy, and as a vital means of transportation, trade and security. Thankfully, actions are currently being taken at both the national and regional level to reform ocean policy and management. Marine protected areas (MPAs) have emerged as an essential tool in the protection of the world’s ocean from the threats of overfishing, pollution, climate change, and destruction of native habitat. Current research is finding that marine life is more abundant and larger inside marine protected areas than outside. A global study of over 150 marine reserves by PISCO found that the biomass of plants and animals inside reserves increased 446%. Recently, researchers from Scripps Institute of Oceanography studied the Cabo Pulmo National Marine Park (CBNP) and saw a 463% increase in total fish biomass a decade after establishment, the largest measured increase in an MPA to date! This translates to a fish biomass that is 5.4 times greater within CBNP than in other open access areas. 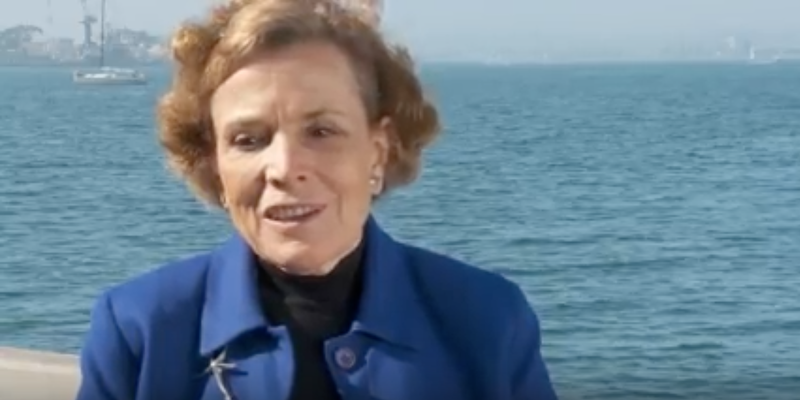 Here in California and around the world, special ocean areas are being designated to conserve our vulnerable ocean ecosystems and threatened marine life. 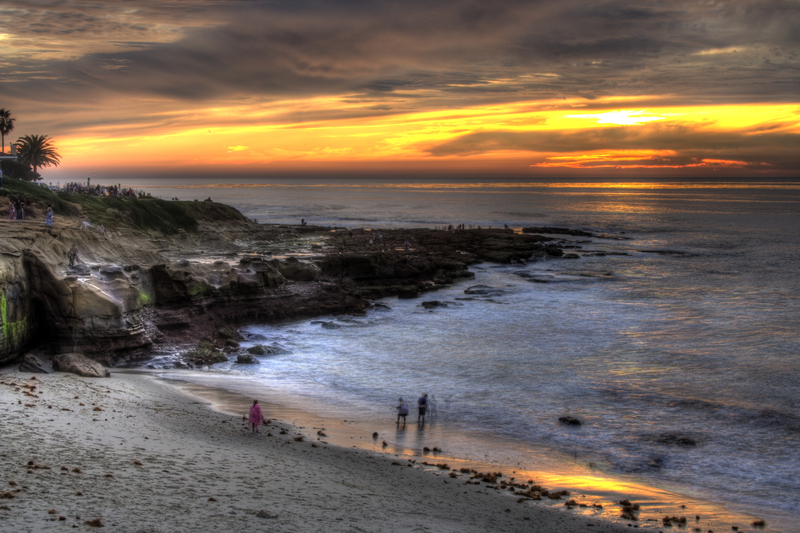 California took a regional approach to the design and implementation of MPAs along its 1,100-mile coastline, and divided the state into regions: the north coast, north central coast, central coast, and south coast. 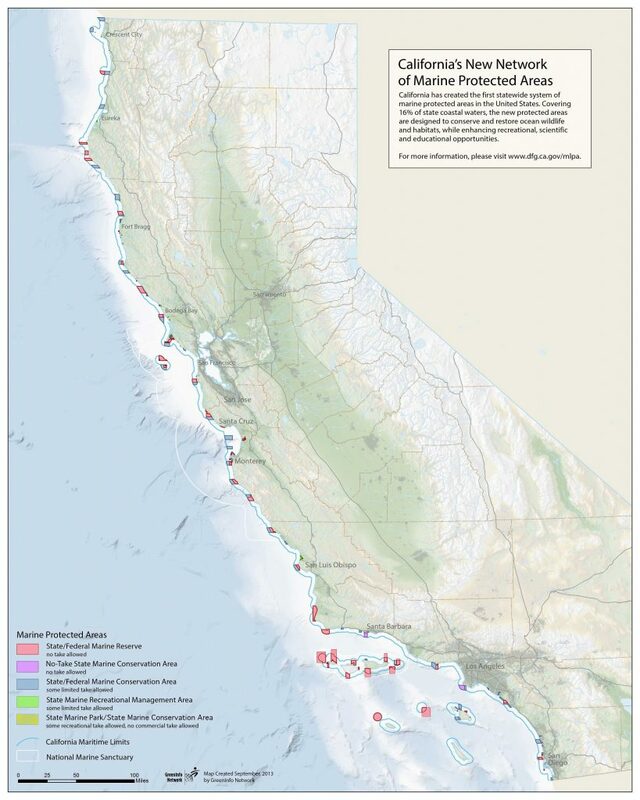 The state completed the coastal network of MPAs in 2012, creating over 120 underwater refuges along California’s coast, extending from Oregon to Mexico. Includes 20 MPAs and 7 special closures from the California/Oregon border to Alder Creek near Point Arena. Includes 25 MPAs and 6 special closures between Alder Creek near Point Arena and Pigeon Point. Includes 29 MPAs between Pigeon Point and Point Conception. Includes 50 MPAs and 2 special closures between Point Conception and the Mexican border, including offshore islands.